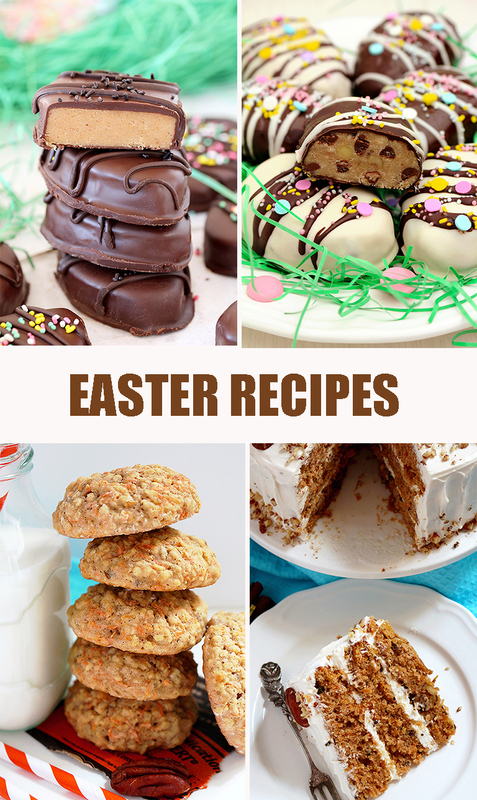 Chocolate Peanut Butter Eggs – easy homemade egg – shaped candies, made of peanut butter and covered with chocolate, just perfect for Easter. 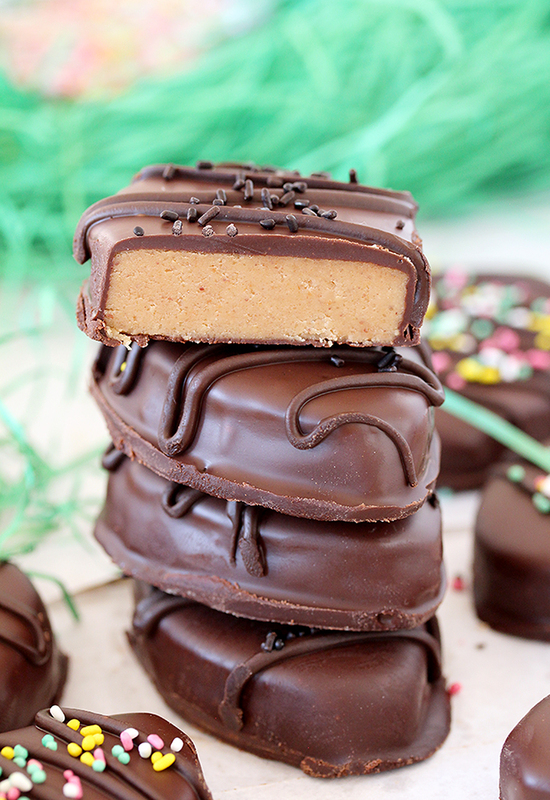 This recipe is, actually a homemade copycat Reese’s Chocolate Peanut Butter Eggs. 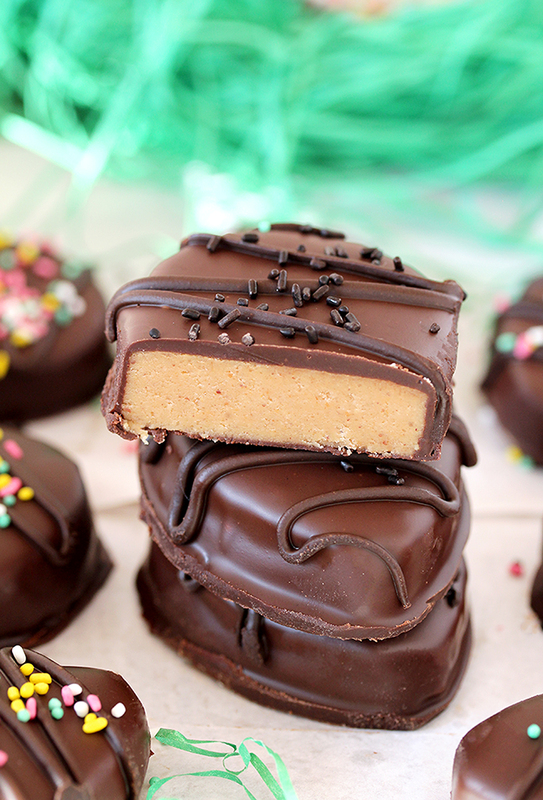 Peanut butter and chocolate make them creamy, so they simply melt in your mouth and their taste is divine. 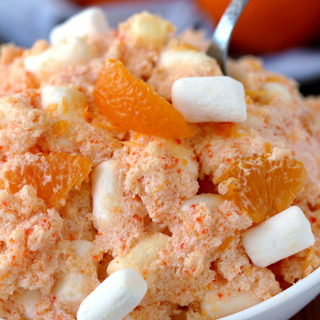 What makes these candies a perfect holiday treat is that you will need only a few ingredients and very easy to make. Peanut butter and chocolate are my favorite combination, so Chocolate Peanut Butter Eggs are on our Easter menu every year. I’ve tried many recipes, but this one is, in my opinion, the best. The only thing I change every year is the way I decorate them. 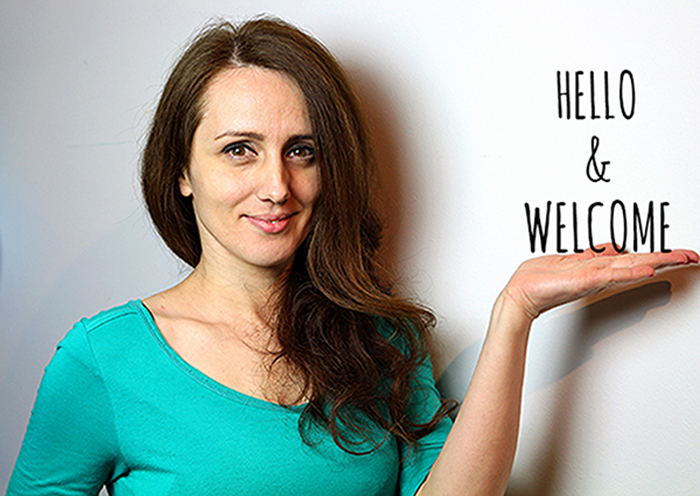 Easter is coming… Do you have any plans for the holiday? One of the things to think about is, of course food and desserts. As for me, there is no doubt that Chocolate Peanut Butter Easter Eggs will be on the menu. 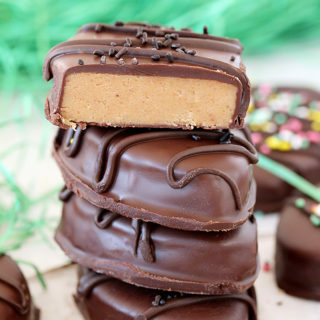 What do you need to make Chocolate Peanut Butter Eggs? 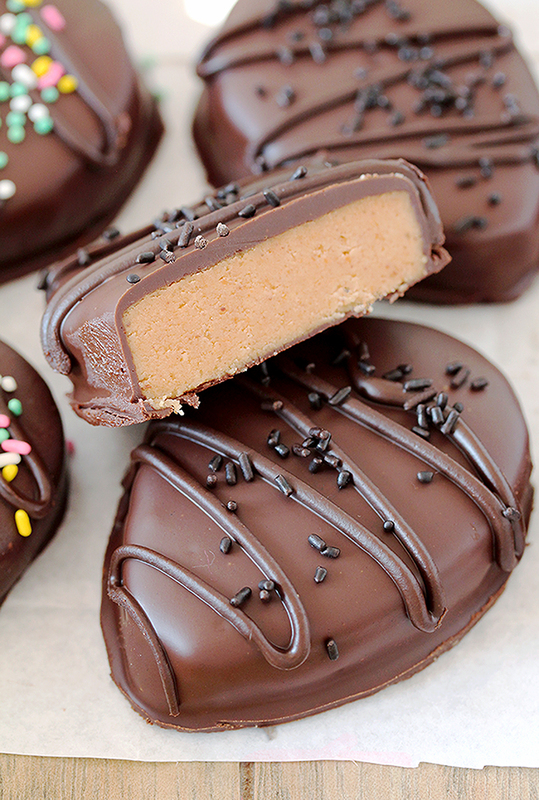 How to prepare Chocolate Peanut Butter Eggs? Line a baking sheet with parchment paper. Set aside. In a medium dish, bring peanut butter, butter, salt and light brown sugar to boil, stirring occasionally. Use medium heat. Remove from the heat, add vanilla and mix. Add powdered sugar, ¼ cup at a time, stirring with a fork until fully combined. Leave to cool at a room temperature. Place the mixture on the parchment paper, then put another parchment paper on top of it. Roll the mixture until 1/2 inch thick, then put in the fridge to cool and become solid. Take out of the fridge and cut using egg shaped cookie cutter. Place the eggs in the baking sheet. Leave in the fridge for another 30 minutes. Melt chocolate following the instructions given on the package. Add shortening and mix. Coat the eggs into melted chocolate with a fork. 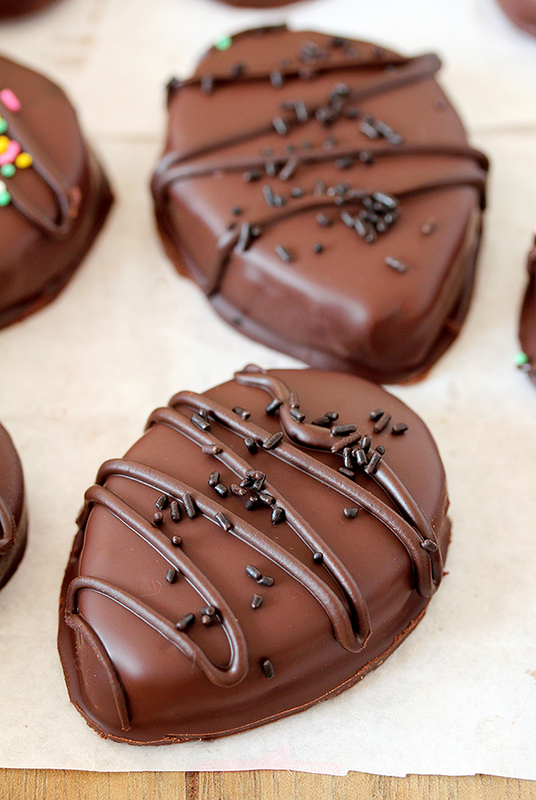 Turn them around gently so that they are completely covered with chocolate. Take them out with a fork and wait for a while for the chocolate to drain or shake the extra chocolate off. Put them back on the baking sheet. Drizzle with the rest of the chocolate and sprinkle. 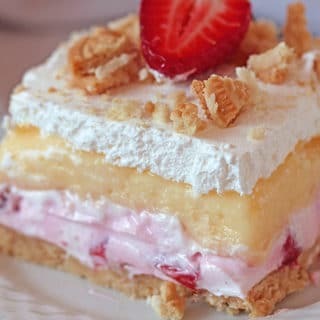 As you can see this dessert is very easy and quick to make. If you let your kids help you, it will be more fun, especially the decorating part. Being a peanut butter and chocolate fan myself, I have more recipes with this combination – No Bake Chocolate Peanut Butter Mini Cheesecake, Reese‘s Pieces Peanut Butter Chocolate Lasagna and Peanut Butter Chocolate Poke Cake. 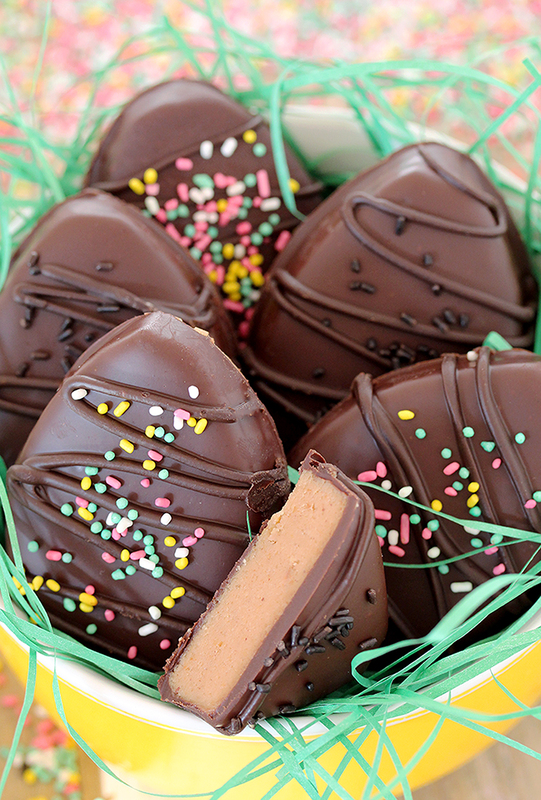 To make your Easter sweeter you should definitely try Chocolate Peanut Butter Easter Eggs. 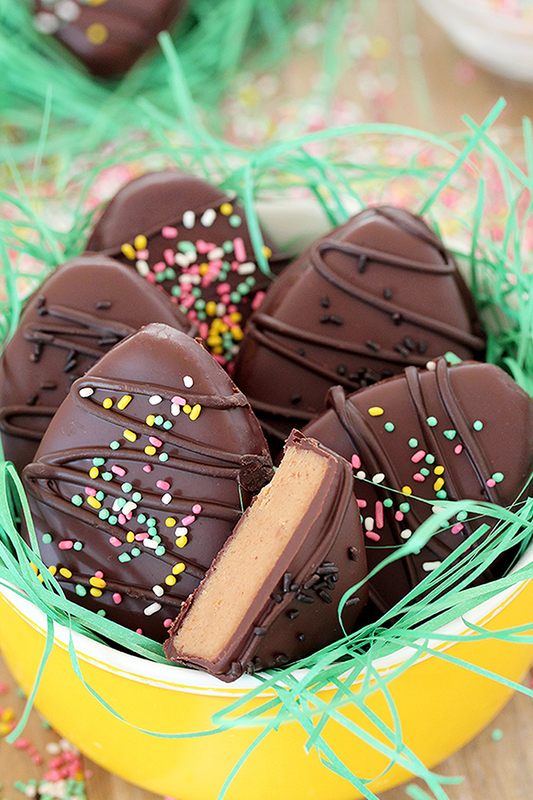 Chocolate Peanut Butter Eggs – easy homemade egg - shaped candies, made of peanut butter and covered with chocolate, just perfect for Easter. TO MAKE CHOCOLATE COATING - Melt chocolate following the instructions given on the package. Add shortening and mix. Take the eggs out of the fridge. Dip each egg separately into the melted chocolate, turning them around with a fork. They should be completely coated with chocolate. You should also be quick, so that the chocolate does not cool and become solid. Take them out with a fork and wait for a while for the chocolate to drain or shake the extra chocolate off. Put them back on the baking sheet. Drizzle with the rest of the chocolate and sprinkle. Let cool for 15 minutes or until the chocolate becomes solid. Keep the eggs in an air-tight container. I used 3-inch cookie cutter. I just mixed up the dough, and it is not creamy, I am thinking that 1/4 cup of butter is not enough! Please advise. Janet, it isn’t a good idea to add more butter, because it would make the mixture more creamy and more difficult to shape an egg.